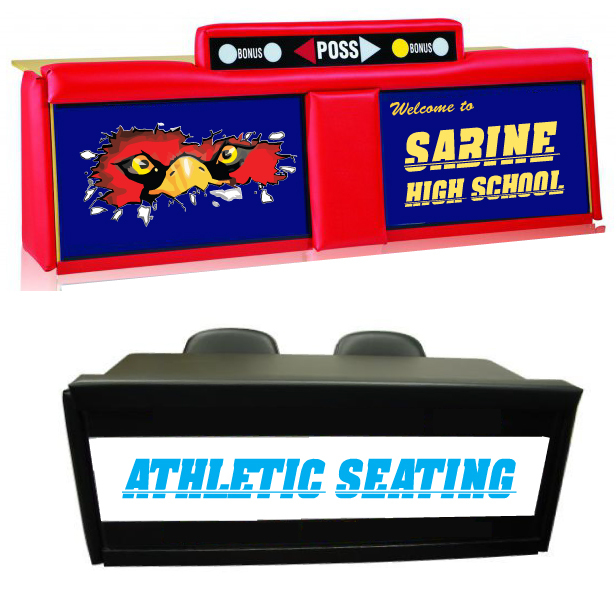 Athletic Seating has discount scoring tables to go along with custom logo chairs and logo stools. Scoring tables start at 5 foot wide, going up to 12 feet wide. And most sizes in between! All scoring tables are back lit, with your choice of 1 panel display or 2 panels. And two types of tables are available, either the most popular Freestanding unit, or theBleacher Mount Table. And of course, to make your gym and sidelines complete, the Clarin Sideline Logo Chairs are also available. And with Athletic Seating being the industry leader in custom logo printing for 30 years, your teams name and logo will never look better. Give us a call and one of our sales staff will answer any question you may have about logo chairs, stools, or scoring tables!